Like most women, I own several pairs of shoes. Hubby would sometimes wonder why on earth do I like to own more than a pair if I only have two feet to put my shoes on, lol! Well, quite simple! Women like fashion, comfort and style. We match our shoes with the clothes we wear thus we need more than one pair, right ladies? So in my closet I have pumps, flats, sandals, boots, clogs, running shoes and of course my favorite pairs of sneakers. Lately, I am in the habit of wearing sneakers when I go out and about. I find them comfy, trendy and stylish. Unfortunately, my reliable pair has seen better days so they are not as beautiful anymore as when I first bought them. Thankfully, Zipz Shoes had agreed to coordinate a product review on my blog, hence giving me an opportunity to own a new pair of casual shoes for free. Ahh, the perks of blogging! I was excited to try them on right away the moment it arrived at my doorstep. 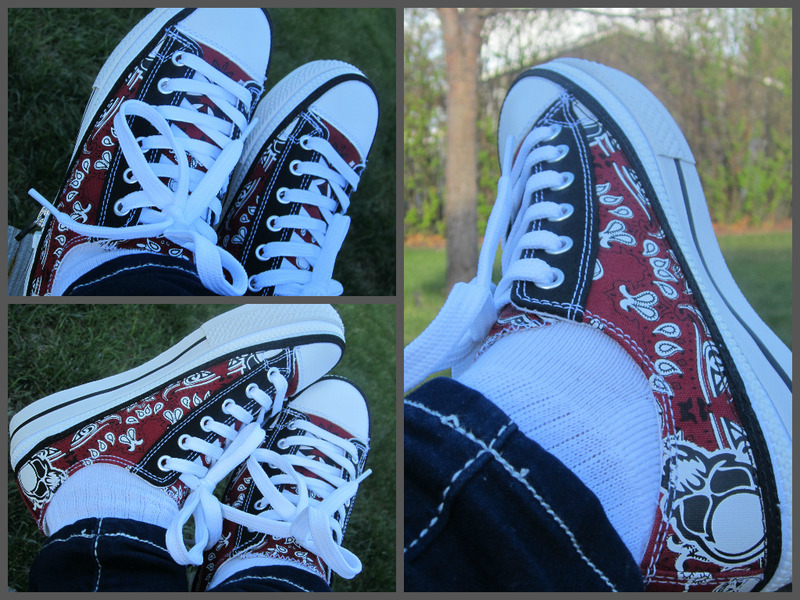 I couldn't help but ooh'ed at the design of the shoes that I chose. I got mine in Bandanaz Lo-Top. Actually, they have a lot of cool designs to choose from. Moreover, they have each design in 3 styles such as Lo-Top, Hi-Top and Slip-on. So shopping your first Zipz shoes can be very fun as far as choosing which design and style to go with. What sets this shoe brand apart from other competitors is the fact that they are the world's first, true, interchangeable shoe. What does that mean exactly? Well, it means you can change the top of your shoe, keeping the sole of the shoe the same. You simply unzip the top half off, add a different shoe cover, and zip it back. Simply put, you can have a new look everyday if you want to because they are removable and interchangeable. That's truly amazing, isn't it? You can save money as well since you don't have to buy a new pair each time your pair of sneakers wears off on you. You just either buy a new shoe cover or a new sole. This concept is unique, refreshing and functional as well. Now what about comfort? When it comes to shoes, surely you just don't want to go with style and looks, but definitely comfort and fit should also be considered when choosing one as well. When I first stepped into the shoe, I felt the soft cushioned insole. I have worn them to work on a casual Friday. They are one of the most comfiest sneakers I have ever owned. 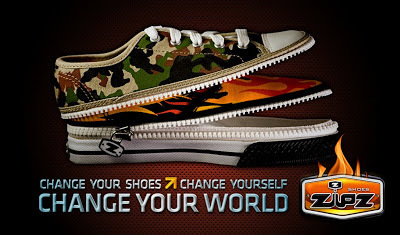 Zipz shoes uses YKK zippers, which are known for their durability and dependability. 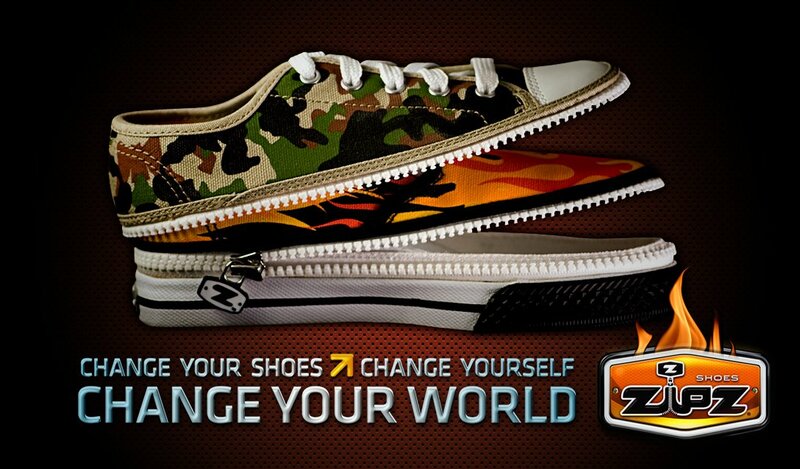 So you're confident you will get long years of using your favorite Zipz shoes. I have enjoyed them! I'm sure you will too. If you're interested to get your first pair of revolutionary shoes, you can purchase them here or you can visit their website and check out their latest styles as well. Or better yet, if you want a freebie, why don't you enter my giveaway through Rafflecopter below? The fantastic people behind Zipz shoes made sure one lucky My Sweet Haven reader will get the chance to try a pair of Zipz shoes of their choice. So what are you waiting for, join now! This contest is available to US residents only. Disclosure: I received product for free in exchange for an honest review, which may differ from yours. Regardless, I only recommend products or services I used personally, and believe will be good for my readers. I like their plain HiTop Youth Cranberry Shoes. Something new to try and good luck to all the participants. yan pala ang zip shoes:D its my first time to see that! Their futuristic style is very innovative and fashionable! By the way, you chose a great style, too! It looks so comfortable. I bet it is one great quality for a shoe! I guess for now I'll go with the plain blue one..
i really want to get a pair of zipz shoes too. I like the one you chose, the bandanaz design in low cut. Wow, this is the first time to see zipz shoes design, that's really nice :-), ang cute kakaiba! i like the design, cute and kakaiba, this is the first time to see zipz shoes design. I want to have this shoes as well. The design is so lovely! I want the Graffeti in low top if i win! I love that you can just change the style of this pair of shoes quickly. My favorite style is the low top and I love the pink argyle cover, so cute and feminine. I love this concept for shoes. Those are really cute and stylish. Their shoes are so cute. I hope they come out with running shoes. Thank you for the giveaway. I like the pink argyle. I really like their shoes! It's the best for those who doesn't want to buy two shoes because with its interchangeable covers, you seemed to have two shoes in one! I Like the Love Child Shoes. 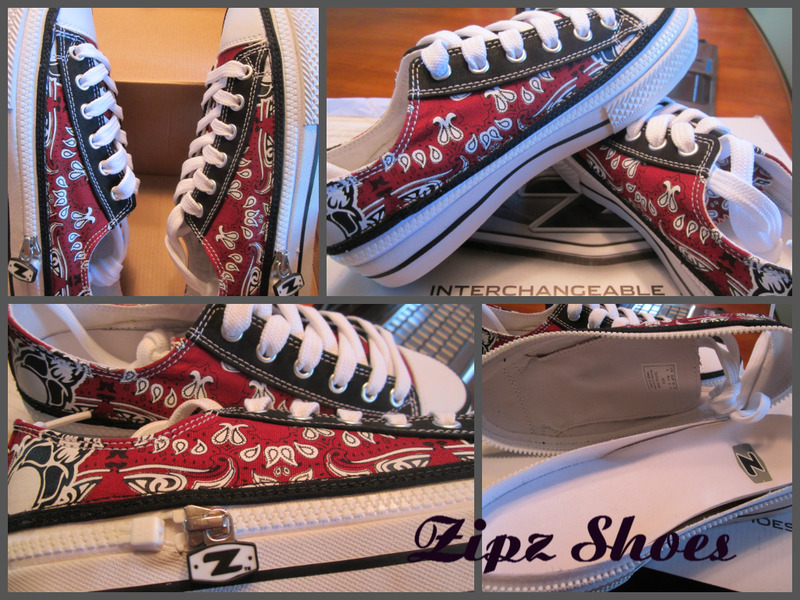 I think ZipzShoes is really awesome! I like that Pitch Black Shoe! I like that zipz and ZipzShoes has it! Awesome. I like the Jet Black shoe in low top. Thanks for the chance. Woohooo!!! Jenn, finally, ME ALREADY! Haha! 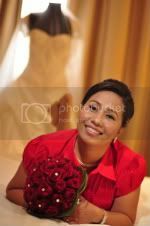 Salamat kaayo for hosting this and thanks to your Rafflecopter for having chosen my name! Yay!